'Nochnaya Fialka' Ночная фиалка (Olga Riabykh, R. 2013). Seedling# 0433-1. TB, 37.5 (95 cm), Early midseason bloom. 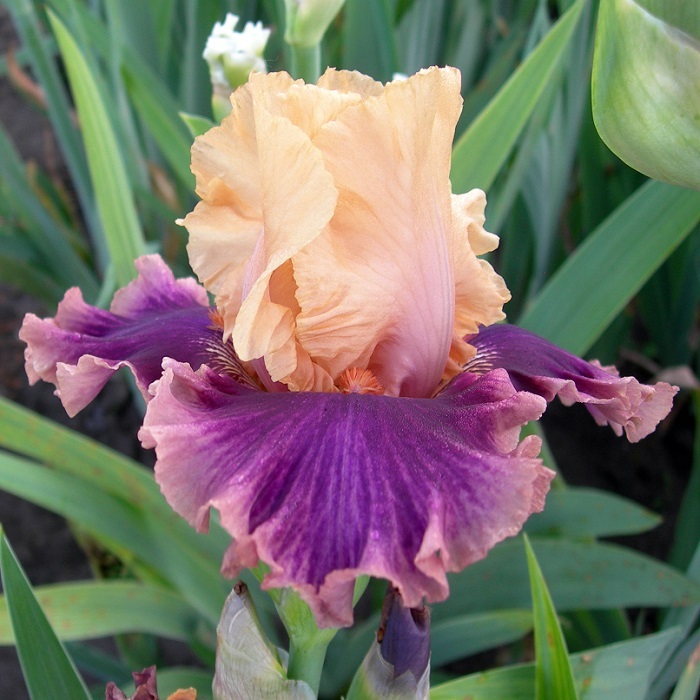 Standards rose-plum; style arms pink-apricot, darker edges, lilac midrib; falls plum-lilac, light plum-lilac rim, plum on light lilac haft pattern; beards orange-red, lilac end, light lilac base; ruffled. 'Zolotyye Diuny' X 'Luxuriant Lothario'.